NEW DELHI: To tackle the menace of ‘honour killings‘ in some parts of the country and deal with illegal orders from by ‘khap panchayats,’ the Law Commission has proposed legislation to prosecute persons or a group involved in such endangering conduct and activities. The proposed legislation, ‘The Endangerment of Life and Liberty (Protection, Prosecution and other measures) Act, 2011,’ drafted by Law Commission Member and senior advocate R. Venkataramani, has been discussed and approved by the Commission, which is headed by Justice P. Venkatarama Reddi. It is expected to be released shortly for comments. 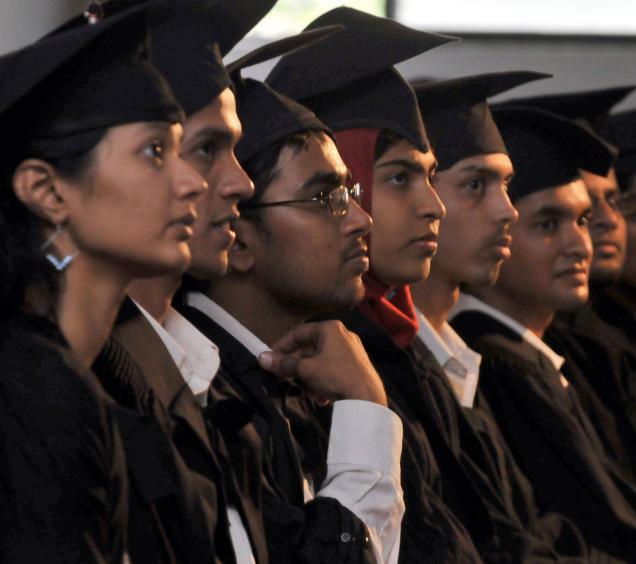 The idea behind the provisions in the draft legislation is that there must be a threshold bar on congregation or assembly for discussing and condemning the conduct of young persons above the age of majority in marrying as per their choice even if they belong to the same ‘gotra’ (which is not prohibited) or they belong to different castes or communities. ‘Panchayatdars’ or village elders have no right to interfere with the life and liberty of such young couples and they cannot create a situation in which such couples are placed in a hostile environment in the village/locality concerned. It shall be presumed that any person or persons found to be part of the unlawful caste assembly did so with the intention to act in endangerment of life or liberty. Such an assembly shall be treated as an unlawful assembly and those present in it shall be punished with imprisonment for a period of not less than three years and extending up to five years and a fine of Rs.30,000. The draft legislation says: “Any person or persons instrumental in gathering of such an assembly or who takes an active part in the execution of the assembly shall also be subjected to civil sanctions,” viz., they will not be eligible to contest any election to any local authority and will be treated as a disqualified candidate. New Delhi: While deprecating the caste system in the country, the Supreme Court has declared illegal ‘khap panchayats’ which often decree or encourage honour killings or other institutionalised atrocities against boys and girls of different castes and religions who wish to get married or have married. “This is wholly illegal and has to be ruthlessly stamped out. There is nothing honourable in honour killing or other atrocities and, in fact, it is nothing but barbaric and shameful murder. Other atrocities in respect of the personal lives of people committed by brutal, feudal-minded persons deserve harsh punishment. Only this way can we stamp out such acts of barbarism and feudal mentality. Moreover, these acts take the law into their own hands, and amount to kangaroo courts, which are wholly illegal,” a Bench of Justices Markandey Katju and Gyan Sudha Misra said on Tuesday. The Bench upheld the sentence of two-year imprisonment, including six months’ imprisonment under the SC/ST (Prevention of Atrocities) Act, 1989, awarded by a trial court to Arumugam Servai, who called a member of a Scheduled Caste community by his caste name, ‘Pallan‘. It dismissed his appeal against a Madras High Court judgment. The Bench directed that a copy of this judgment be sent to all Chief Secretaries, Home Secretaries and Directors-General of Police in all States and Union Territories, and circulated to all officers up to the level of District Magistrates and SSP/SP for strict compliance. A copy would also be sent to the Registrars-General/Registrars of all High Courts who would circulate it to all judges. In CRIMINAL APPEAL NO._958__of 2011 Arumugam Servai Vs State of Tamil Nadu ( Respondent) The Bench of Justice Markandey Katju and Justice Gyan Sudha Mishra has passed a order on the Honour Killings being reported across India. The bench stated that in recent years `Khap Panchayats’ (known as katta panchayats in Tamil Nadu) which often decree or encourage honour killings or other atrocities in an institutionalized way on boys and girls of different castes and religion, who wish to get married or have been married, or interfere with the personal lives of people. We are of the opinion that this is wholly illegal and has to be ruthlessly stamped out. As already stated in Lata Singh’s case (supra), there is nothing honourable in honour killing or other atrocities and, in fact, it is nothing but barbaric and shameful murder. Other atrocities in respect of personal lives of people committed by brutal, feudal minded persons deserve harsh punishment. Only in this way can we stamp out such acts of barbarism and feudal mentality. Moreover, these acts take the law into their own hands, and amount to kangaroo courts, which are wholly illegal. be directly or indirectly accountable in this connection. Copy of this judgment shall be sent to all Chief Secretaries, Home Secretaries and Director Generals of Police in all States and Union Territories of India with the direction that it should be circulated to all officers up to the level of District Magistrates and S.S.P./S.P. for strict compliance. Copy will also be sent to the Registrar Generals/Registrars of all High Courts who will circulate it to all Hon’ble Judges of the Court. Sections 299-304: Penalizes any person guilty of murder and culpable homicide not amounting to murder. The punishment for murder is life sentence or death and fine. The punishment for culpable homicide not amounting to murder is life imprisonment or imprisonment for upto 10 years and fine. Section 307: Penalizes attempt to murder with imprisonment for upto 10 years and a fine. If a person is hurt, the penalty can extend to life imprisonment. Section 308: Penalizes attempt to commit culpable homicide by imprisonment for upto 3 years or with fine or with both. If it causes hurt, the person shall be imprisoned for upto 7 years or fined or both. Section 300: introduce “fifthly” clause to Section 300 of IPC which at present defines “murder” under four categories. The additional definition would make khap-dictated honour killings a distinct offence and make all those who participate in the decision liable to be tried for the main charge, that is murder, and liable maximum penalty, death. One of the proposals is to amend the Indian Evidence Act to put the burden of proof on the accused. Thus, the khap panchayat or the family members would be responsible for proving their innocence. There would be joint liability under the proposed new law. The khap panchayat (or any group ordering honour killings and the person who carries out the killing would be jointly liable for punishment. Presently there is no definition of Honour Killing/ crime or clarity. Since Honour Killings /Honour crimes are not separate crime and hence we don’t have any data. New law will provide mandate for special police cell in each district to provide protection to couples. New law comes with a institutional machinery and the required coordination of all stakeholders. It will also mandate the different state government and the Centre to work on sensitization of the law enforcement agencies. The new law will mandate social initiatives and awareness to curb such violence through social means. Honour crimes should include all the crimes against women which are perpetrated by the community. There are many cases of women being branded witches, paraded naked, tortured in public which are very heinous offences of honour and hence need to be strengthened by a special law and to have stringent punishments. Having a special law can be deterrent. The present procedure of getting a marriage registered is a long process. The complete process takes about 45 days. During this period a couple may be vulnerable. Steps need to be taken to simplify the registration process. Attention has been drawn, particularly in recent years, to the issue of crimes against women committed in the name of honour at the international and national levels, and the issue has been addressed by intergovernmental and expert bodies within the United Nations system, and some measures have been taken by Member States to eliminate such acts. (New York) – The Indian government should urgently investigate and prosecute those responsible for the recent spurt in reported “honor” killings, Human Rights Watch said today. The government should also strengthen laws that protect against kinship, religion-based, and caste-based violence, and take appropriate action against local leaders who endorse or tolerate such crimes, Human Rights Watch said. Murders to protect family or community “honor” have increased in recent months, in the northern states of Haryana, Punjab, and Uttar Pradesh, where unofficial village councils, called khap panchayats, issue edicts condemning couples for marrying outside their caste or religion and condemn marriages within a kinship group (gotra), considered incestuous even though there is no biological connection. To enforce these decrees and break up such relationships, family members have threatened couples, filed false cases of abduction, and killed spouses to protect the family’s “honor.” Some local politicians and officials have been sympathetic to the councils’ edicts, implicitly supporting the violence. Many affected couples elope, fearing reprisals from family members or the community. The wife’s relatives frequently then file abduction complaints, leading the police to arrest the husband, even if the woman denies being abducted. The woman is then forced to rejoin her family, where she may be confined, abused, and sometimes killed. In other cases, couples have been invited back home for rapprochement or tracked down, and then killed. More vigilant media have recently been reporting such cases, sometimes resulting in even more extreme responses by community leaders, Human Rights Watch said. On June 21, 2010, in Haryana, after the bodies of a young couple whose relationship had been condemned for violating kinship rules were found hanging from a tree, six family members were arrested for murder. Later in June, another couple and the bride’s sister were found murdered in Delhi. The two women had both married outside their caste. Three men, cousins of the women, were arrested for the killing. In Uttar Pradesh on July 6, village leaders ordered upper caste villagers to abduct all young women belonging to families of Dalits (so-called “untouchables”) unless an upper caste Brahmin woman, who had eloped with her Dalit boyfriend, returned home. Police routinely fail to investigate apparent “honor” killings. In July 2009, Monika Dagar, 21, secretly married Gaurav Saini, 24, who belonged to a lower caste and would thus be unacceptable to her family and community. A week later, Dagar’s relatives arrived at the place the couple was living, accompanied by the police, who arrested Saini on kidnapping charges, despite Dagar’s protests. He was eventually released but was unable to trace his wife despite repeated appeals for police assistance. In October, Saini was informed that his wife had died of pneumonia; the circumstances were such that Saini believes that she was murdered by her family. The police did not investigate the cause of her death, and Saini has brought a case against them. In April, 4,000 khap panchayat members from Haryana, Uttar Pradesh, Rajasthan, and Delhi gathered in support of five family members who were convicted in connection with the May 2007 murder of Manoj and Babli, married members of the same gotra who had been condemned by a local council in Haryana. A khap panchayat leader was sentenced to life in prison for instigating the killings. 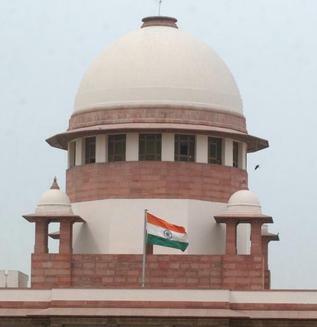 The Supreme Court has taken note of the recent spate of “honor” killings and has sought a response from the central government and concerned state governments on steps taken to prevent such incidents. The Indian government has proposed amendments to the Indian Penal Code to ensure that individuals issuing diktats against couples can be charged with murder. The government proposals also include revoking the 30-day notice period presently required under the Special Marriage Act for inter-community marriages, because that time is misused by families to track down and kill or forcibly separate couples. However, these changes to the law are facing some resistance from political groups citing traditional and customary rights. Legislative changes are only a part of the solution, Human Rights Watch said. The Indian government should ensure that its police officials impartially investigate “honor” killings without bowing to political or other pressure from powerful local leaders. In 2009, a Human Rights Watch report on police reform found that police were often not able to function free from improper political interference. Human Rights Watch also expressed concern that traditional biases have often interfered with the ability of police to enforce laws objectively. The Indian government should, through public campaigns and the media, promote the right of individuals of legally marriageable age to marry persons of their choice, without having to fear violence or other abuse, Human Rights Watch said. The government should instruct police to protect those in consensual relationships who fear family or community reprisals.